“DENIGRATING DAVID” NOW IN STATE OF IMAGINATION’S JULY ISSUE! 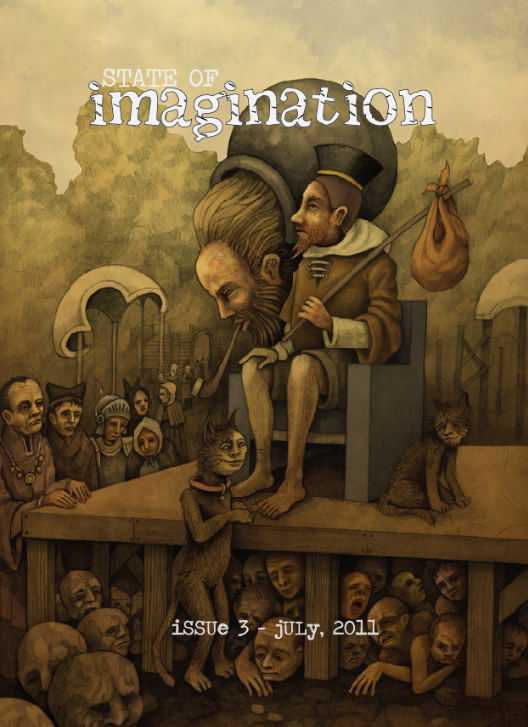 My short story “Denigrating David” is now in State of Imagination’s July issue! I’ve been reading State of Imagination since its inception and I enjoy the fresh pieces they publish. Another interesting feature of State of Imagination? It asks each of its writers to provide a paragraph on the impetus for the piece and then publishes it alongside the piece, which is fascinating—especially for me, who keeps a log of all the ideas or inciting incidents that inspired each of my short stories. ← PROLOGUE FOR HAUNTED DISNEY BOOK II ANNOUNCED!